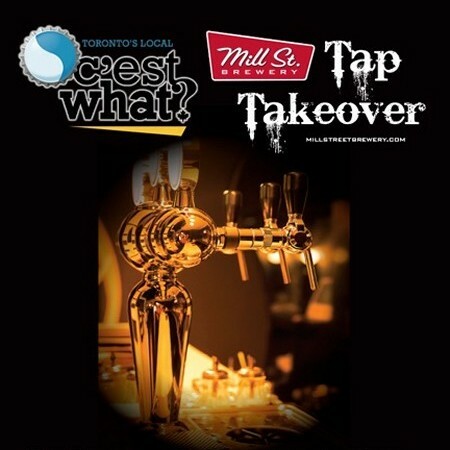 TORONTO, ON – Mill Street Brewery has been announced as the next brewery to take part in the monthly Tap Takeover series at iconic Toronto craft beer bar C’est What?. Scheduled for next Tuesday June 4th, the event will feature at least 13 Mill Street brands on druaght, including new summer seasonals Curious Parrot and Don Valley Bench, and beers such as E.S.B. and Distillery Ale that are normally exclusive to the Mill Street Brew Pub & Beer Hall. In addition, there will be two mystery beers on cask that will be revealed at the event. The Mill Street Tap Takeover starts at 6:00 PM. There is no charge to attend, and all beers will be available in full servings and sample sizes at prices TBA.